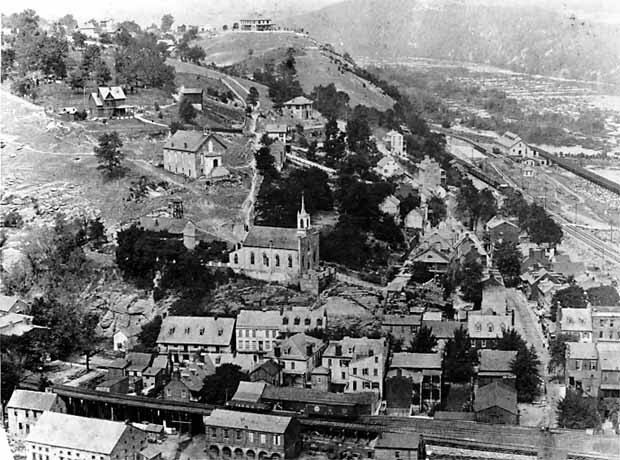 John Brown's raid, three Civil War battles and other tragedies are the reasons given why the town of Harper’s Ferry in West Virginia is haunted. In Part I of this post a brief history of John Brown’s raid is shared. As mentioned in another post here, John Brown’s ghost appears to haunt Harper’s Ferry. Modern day visitors walking around the town have mistaken his ghost for a historic re-enactor. Some of these witnesses have asked him to pose for photographs with them—only to discover afterwards their cameras did not capture this figure. 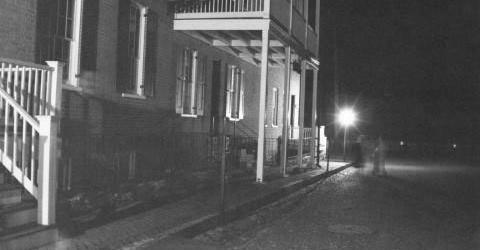 John Brown also haunts a Farmhouse located 5 miles outside Harper’s Ferry—known as the Kennedy Farmhouse. 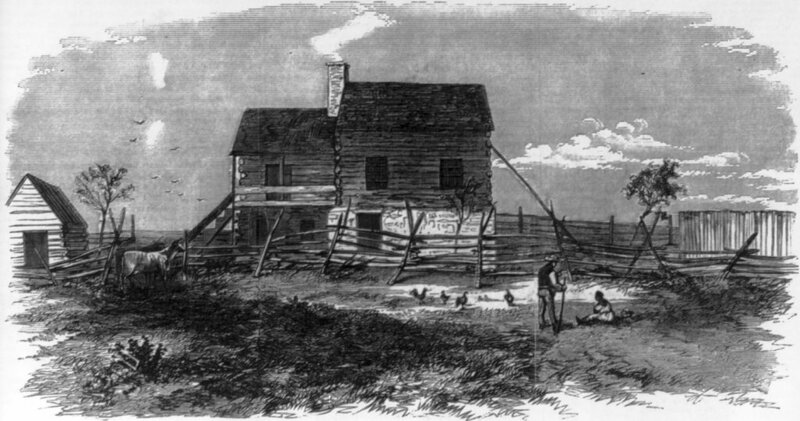 He and his men stayed at this farm the night before the raid. They slept in the farmhouse’s small attic. Witnesses have reported hearing a variety of sounds coming from the upper two floors. 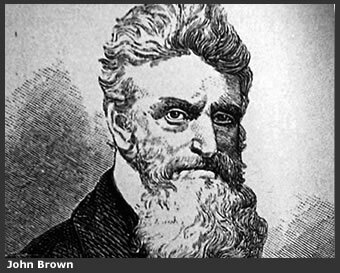 Pacing is heard which is believed to be John Brown himself and breathing, talking and snorting have been heard. Others have reported hearing a “crowd of people” going up the stairs when no one is around. 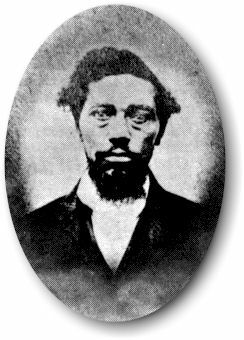 One of John Brown’s men was a freeman by the name of Dangerfield Newby. His white father had freed Dangerfield but his wife and 7 children were slaves. His wife’s master in Warrenton, Virginia had told Dangerfield if he paid $1500 he would free his wife and youngest child. However, after Dangerfield managed to acquire this money the master raised his price. Frustrated, Dangerfield joined Brown hoping to free his family. During the raid on Harper’s Ferry Dangerfield was the first to be killed. The town despite having an armory was lacking bullets so the militia and citizens used anything they could get their hands on as ammunition. Dangerfield was shot with a spike that ripped through his throat. The people of Harper’s Ferry still bitterly remembered the Nat Turner Slave Rebellion that had occurred 30 years before. They became enraged and mutilated and dragged Dangerfield’s body into an alley where they left it to the hogs. This alley today is known as Hog Alley and is haunted. Witnesses report seeing a 45-year old black man wearing baggy pants in this alley. He also wears an old slouch hat. He is described as having a horrible scar across his throat. It is believed Dangerfield lingers because he is still trying to free his family. 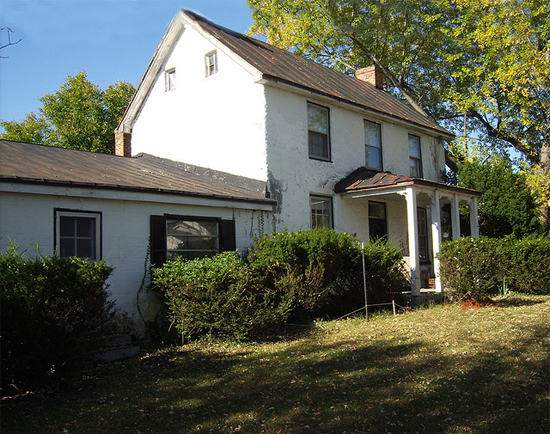 A house located on Old Taylor Lane in Harper’s Ferry is known as The Haunted Cottage or Booth’s House. 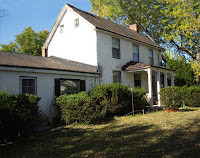 It is sometimes called Booth’s House because John Wilkes Booth—the famous actor and assassin of Abraham Lincoln-- stayed here on occasion. Notably when he arrived to watch John Brown—an opponent of his hanged. He was also known to entertain lady friends in the room he rented upstairs. This house has a myriad of activity, which includes: footsteps and singing heard on the second floor. Witnesses have reported having their hair and clothes tugged and the most common sightings are of objects moving. Witnesses report items disappeared in front of them only to reappear moments later. 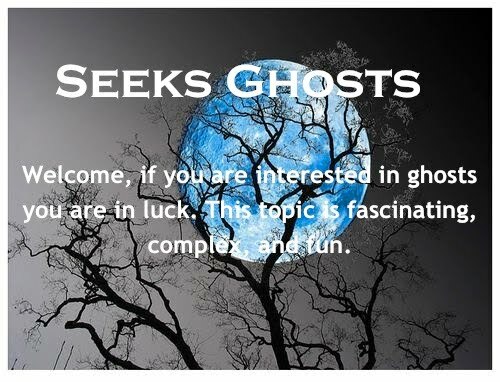 In Part lll of Harper’s FerryNational Park, the stories of two ghosts seen at the oldest church in town are shared as well as the ghost of a young girl.